Happy New Year everyone and all the best for 2013. 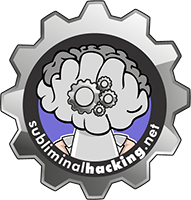 To kick off the New Year for Subliminal Hacking I am excited to launch the new design I have been working on. Its my hope the new layout and look make the site easier to navigate as well and providing easier access to key pieces of information, such as spotlight items, reviews etc. I still have a few tweaks to make over the next couple of weeks, but if you do spot anything not working quite right for you please let me know. Time allowing I want to add to the posts I produce on a regular basis to include more reviews, as well as some videos (put this new gear to good use). So as ever, if you have any suggestions or requests please let me know.